Ancient Traditions. Contemporary Realities. An Indigenous Musical. This haunting tale of two siblings taken away to a residential school is a story of redemption: for a mother who was never let past the school's gate, and her kids, who never knew she came. 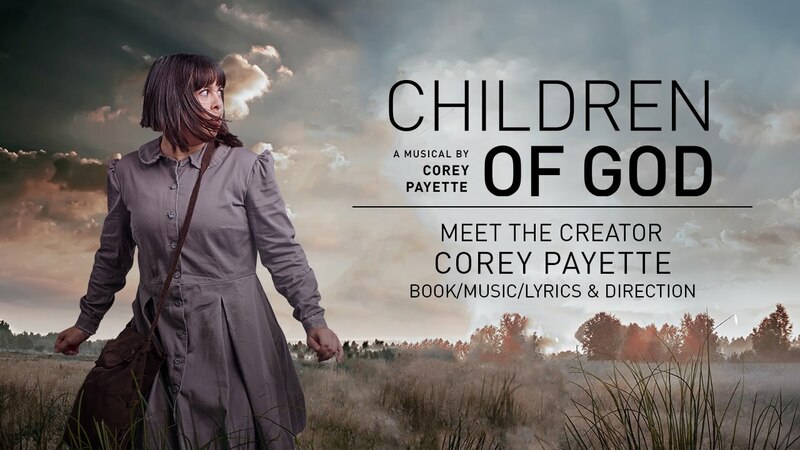 Children of God is a thrilling blend of ancient traditions and contemporary realities, honouring the resilience and power of the Indigenous peoples of Canada. This is a brave work, and a starting point for important conversations. See it. The story is absolutely compelling, the stagecraft is impressive and the acting is excellent. Originally from Vancouver, Michelle is of Coast Salish ancestry, a member of the Squamish Nation. She graduated from the Musical Theatre Program at Capilano University. Some favourite credits include Éponine in Les Miserables (Chemainus); Hope Cladwell in Urinetown (Firehall); Mamma Mia! (Theatre Aquarius/WCT); and Pure 90s (Stage West). She was awarded the 2012 Ovation Award for Outstanding Supporting Actress, and the Aida Broadbent Award. Next up, Michelle will be performing in Mamma Mia! at The Arts Club as Sophie. Raes Calvert is a Métis theatre artist from Vancouver, B.C. He is honoured to have the opportunity to perform in Children of God for the second time after it’s 2015 workshop production in Kamloops. Raes is a graduate of Studio 58 and recently completed his Bachelor of Performing Arts degree at Douglas College. He is the Co-Artistic Director of Hardline Productions and is beyond excited to be bringing his show Redpatch to the Citadel this November. Select credits include Rock Legends, A Christmas Story, Footloose, Elf: The Musical, Buddy: The Buddy Holly Story, Steel Magnolias (Jessie nomination); The Gifts of the Magi (CTF); Disney’s The Little Mermaid, Bittergirl - the musical (Globe); Les Misérables (Arts Club/CTF); Little Shop of Horrors (Blue Bridge); [title of show], Nevermore (Urban Arts); Sweeney Todd, Songs for a New World, Falsettos (GGG). Sarah lives in Victoria, B.C., where she is a proud Artistic Associate with Gotta Getta Gimmick. Love to G and my family. Dillan is an Ojibway storyteller from Garden River First Nation and is honoured to be a part of telling this story. He is a grad of Sheridan’s Music Theatre Performance Program, as well as The Royal Conservatoire of Scotland, where he obtained his Master’s degree in Musical Theatre. Thanks to Corey, Da Costa, my supportive family, and husband Paul! Select credits include Only Drunks and Children Tell The Truth (Magnus); 9-5: The Musical (Edinburgh Fringe Festival); and The Talking Stick (Charlottetown Festival YoCo). Credits include: Curious Incident of the Dog in the Night-Time, True Love Lies (Citadel); Light in the Piazza (Theatre Calgary), LesMiserables (WCT); Eight seasons with The Stratford Festival. For Mirvish: Billy Elliot, Rock of Ages. He won a Dora Award for his portrayal of Lockstock in Urinetown, (Canadian Stage). David originated the role of Sam in the Broadway production of Mamma Mia!. TV and film: Designated Survivor, Murdoch Mysteries, Copper, Saving Hope, The Listener, Republic of Doyle, Lost Girl, Rookie Blue, The Manchurian Candidate. Sandy Scofield is a multi-award winning composer, sound designer and singer/songwriter who holds an undergrad degree in music. She has received three Juno nominations, a WCMA, a CFMA and five Canadian Aboriginal Music awards. She has toured to festivals on five continents and has composed and created sound design for dance and theatre: 2010 Winter Olympics, Marie Clements’ and Vancouver City Opera’s MISSING (MMIW) and Michelle Thrush’s Inner Elder for Calgary’s Lunchbox Theatre (2018 High Performance Rodeo). Cheyenne Scott is Coast Salish of the Saanich Nation. Her work is an exploration and celebration of her Indigenous heritage through impactful personal expression and storytelling. After the Urban Ink and National Arts Centre world premiere, Cheyenne is honoured to be returning to the role of Julia. Upcoming projects include being co-creator of Now You See Her with award-winning Quote Unquote Collective who were the powerful team behind Mouthpiece. She is currently an artist-in-residence with Mikw Chiyam where she is developing her new piece Wolf Cull. Aaron comes from the Ehattesaht and Lax Kw’alaams First Nations, and has just recently graduated Company C, the third year program at the Canadian College of Performing Arts. Previous roles include Filthy Billy in A Cure for Death by Lightning (WCT); Into the Woods (CCPA); and Children of God (workshop, WCT). He has also taken part in discussions with the NAC and Stratford in investigating the Indigenous voice and space in Canada and the national stage with other Indigenous artists. 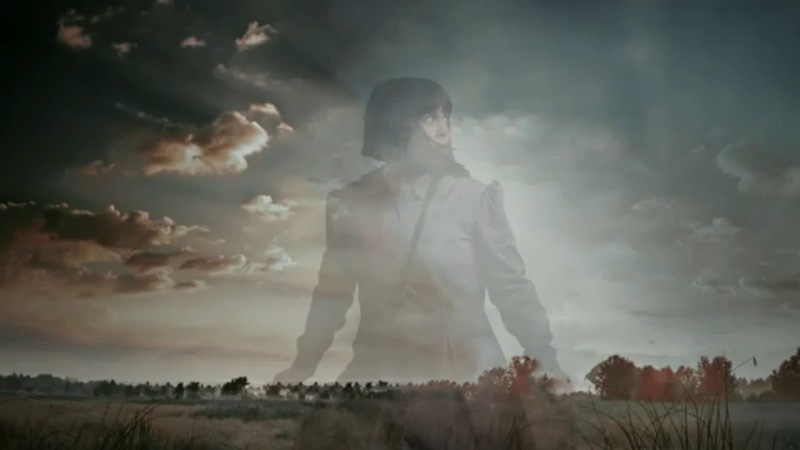 Kaitlyn is honoured to reprise her role in Children of God. Select credits include Lucy in The Lion, The Witch and the Wardrobe (Carousel Theatre); TH'OWXIYA (Axis Theatre); Busted Up: A Yukon Story (Open Pit Theatre); and A Charlie Brown Christmas (Carousel Theatre). Up next, she will be originating the role of Kateri in the premiere of Julie McIsaac and Corey Payette's new musical, Les Filles Du Roi. For you, Cathy - our eternal drumming heartbeat. I love you. Theatre); Our Town (Caravan Farm Theatre); The Road Forward (red diva/PuSh/National Film Board of Canada); Indian Arm (Rumble Theatre); AMIN AMIR (Aircastle Feature Film/OMNI TV); Justice (Gwaandak Theatre/NAC Northern Scene); La Cage Aux Folles (Vancouver Playhouse); and Beyond Eden (Theatre Calgary/ Vancouver Playhouse). Marshall is a set and costume designer for theatre and film based in Vancouver. Previous work at Citadel includes his set for Chelsea Hotel. He also designs for Urban Ink, Bard on the Beach, Arts Club, Electric Company, Pacific Opera, Caravan Farm Theatre, and more. He is the recipient of a Vancouver Mayor’s Arts Award, Ottawa Critics Circle Award, Jessie Award, and four Ovation Awards. He is a graduate of UBC and a member of Associated Designers of Canada. Allen Cole has worked variously as composer, musical director, lyricist and/or book writer on many musical theatre works, and has won numerous awards, including four Doras, and a Best Film Score Award from the Atlantic Film Festival. His musical Rockbound won five Merritt Awards, including Best New Play, Best Music and Best Production, and was nominated for the Lieutenant-Governor of Nova Scotia’s Masterworks Award. His musical based on Alice in Wonderland (with Peter Hinton) premiered in May 2016 at the Shaw Festival. Elliot Vaughan is a Vancouver-based music. He focuses on creating within collaborative, interdisciplinary projects. He has worked on theatre projects with Leaky Heaven, Touchstone, Urban Ink, and others; dance shows with Dezza Dance, Iris Lau, con8 collective, and others; concert music for international chamber ensembles; and records with The End Tree, Jay Malinowski, and Iffy South. His compositions have been performed in 17 countries. He holds a composition degree from SFU. Elliot’s primary instrument is the viola. He has toured Europe, the UK, and Canada, performed with over 30 pop acts, and appeared on over a dozen records. Julie is a director of theatre and opera, also a performer and writer/creator. Directing highlights include Il nozze di Figaro (Opera Studio); Pride and Prejudice (CTF); and The Exquisite Hour (Relephant Theatre; Playhouse Fringe Award). She is the playwright, composer/arranger and co-sound designer of The Out Vigil (Firepot Performance; Jessie award with Jay Clift). Upcoming: co-writing book & lyrics of Les Filles du Roi with Corey Payette, and directing Orfeo ed Euridice at the Centre for Opera Studies in Sulmona, Italy. Jeff has over 100 design credits both in Vancouver and internationally. Jeff is a graduate of SFU’s School for the Contemporary Arts, attended the Banff Centre for the Performing Arts, and is a member of the Associated Designers of Canada. Past design credits include: The Full Monty, Floyd Collins (Patrick St. Productions), Wizard of Oz, Cat in the Hat, Arthur: Boy King (Carousel Theatre), Blasted (Pi Theatre). Helen Oro is the owner/operator of fashion label Helen Oro Designs Inc. Helen is plains Cree from Pelican Lake First Nation. She takes her traditional First Nation beadwork and adorns modern day accessories such as heels, sunglasses, clutch purses, etc. Not only does Helen create one-of-a-kind creations but creates opportunities for Indigenous people aspiring to pursue careers in the fashion/model world. Internationally recognized for her designs and work, Helen aims to create a positive image for Indigenous women everywhere. engineer for Randy Bachman, Vancouver New Music, and as Head of Audio for The Cultch. Kris holds a music diploma in mandolin performance from Vancouver Community College. He is currently Technical Director for The Cultch and the York Theatre. Kyra has over 35 years of experience as a sound recording engineer, music producer, sound designer and musician. They approach mixing live sound from both a tech's perspective and that of a performer or artist. Currently, they are in their third season with the Vancouver East Cultural Centre as Head of Sound. Children of God is a path to healing our present lives by acknowledging and understanding our past and then creating a different future together. I am so in. Mist, Baskerville, The Valley, One Man, Two Guvnors, and Peter and the Starcatcher (Artsclub); Crazy For You (Gateway); and Belfast Girls (Peninsula Productions). He also works as a guest artist instructor for a variety of educational institutions around the GVA including UBC, Capilano University, and Bard on the Beach’s youth education program, Bard in the Classroom. years in Vancouver. Recent credits include Jerry Lee Lewis in Million Dollar Quartet (Arts Club); and Elbow Room Café: The Musical (Zee Zee Theatre). Upcoming: Forever Plaid (Mayfield Theatre). 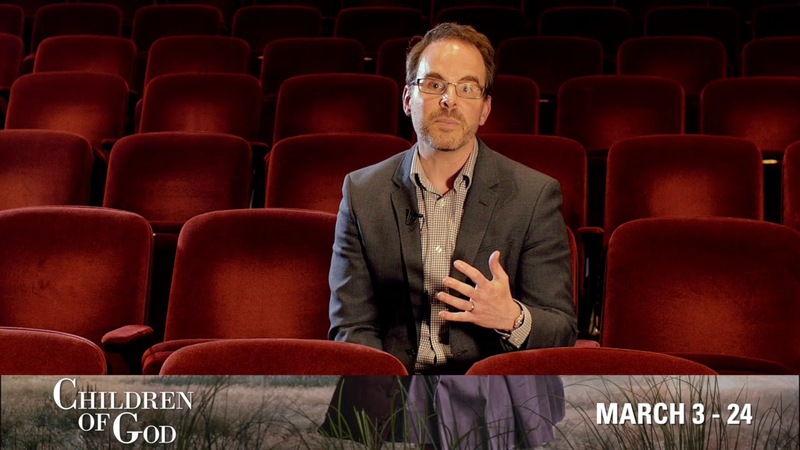 A graduate of Grant MacEwan’s Theatre Arts program, he has been an instructor at Studio 58, Capilano University and his alma mater. Thanks to Corey and Allen. Special thanks to family, friends, Jessie, Edgar, and Gotham for their love and support. Originally from Chisholm Township, Samira recently worked on Jillian Keiley’s adaptation of A Christmas Carol at the National Arts Centre. Other NAC credits include The Adventures of a Black Girl in Search of God (Centaur); King Lear, Saint Carmen Of The Main (Canadian Stage); The Drowsy Chaperone (Citadel/Vancouver Playhouse); The Ecstasy of Rita Joe (WCT); Shakespeare’s Dog (RMTC); GCTC's Proud, Vimy (NAC); The Syringa Tree, Red Diva's The Road Forward, and Canada Day on Parliament Hill (NCC/CBC Television). Molly's recent credits include Stage Managing Shakespeare’s R&J (Kill Your Television); Bello (Concrete Theatre/l’Unitheatre); TheMerchant of Venice (The Freewill Shakespeare Festival); Made In Italy (Beyond the Stage series, The Citadel Theatre); Bust (Theatre Network); The Passion of Narcisse Mondoux (Northern Light Theatre/l’UniTheatre); assistant stage managing Peter and the Starcatcher and A Christmas Carol (The Citadel Theatre); Romeo and Juliet, Love’s Labour’s Lost, As You Like It, and Coriolanus (The Freewill Shakespeare Festival). Cast of Children of God. — Written and directed by Corey Payette, Production Design by Marshall McMahen, Lighting Design by Jeff Harrison. Photo by David Cooper Photography.